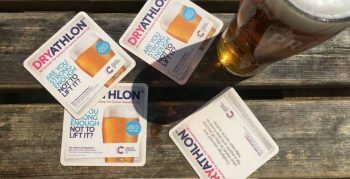 Our client from Club 18-30 moved into a totally new role at Cancer Research UK, and contacted Killer to see if we’d be interested in putting ideas forward for a new fundraising product they were looking to pilot. 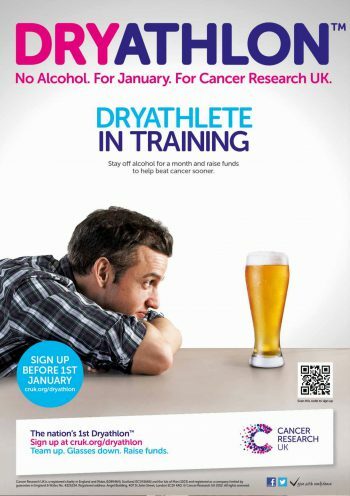 To launch a new fundraising campaign challenging social drinkers to take a one-month break from alcohol during January, raising sponsorship money for the charity. 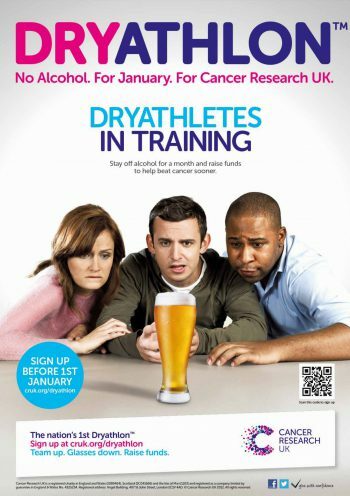 The driver behind the idea was to increase the charity’s younger male supporter base, as Cancer Research UK under-indexed on this group compared to other cancer charities. However, during testing, they identified that the challenge appealed just as much to women – so the brief changed to a 50/50 split. 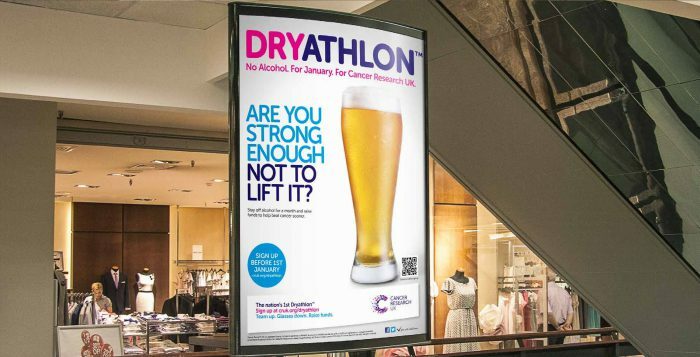 We felt it was imperative that the campaign had a strong identity that would clearly appeal to ABC1 males and females, without sounding like a health message. 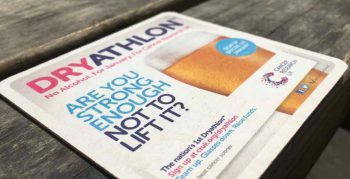 Our concept tapped into the idea of willpower and the challenge involved in giving up alcohol for a month, to avoid the campaign coming across as preachy. 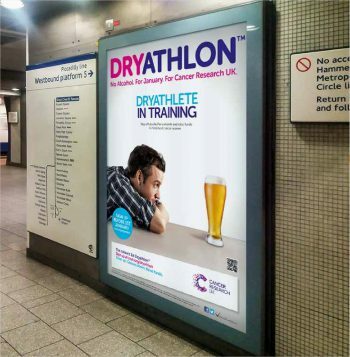 Killer devised the campaign name, Dryathlon, along with the look and feel. 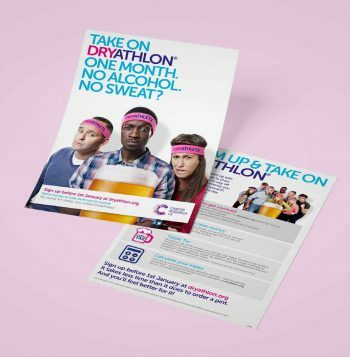 We then produced all of the collateral for launch, including managing a photo shoot, artwork for outdoor and print ads, a radio ad, plus support materials to encourage engagement after sign up. 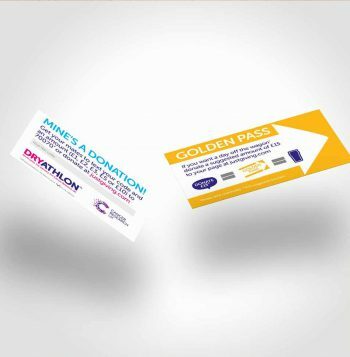 This included content for the fundraising pack such as posters, flyers, supporter donation cards and wristbands. We also created digital assets for use on the Facebook page and campaign website. We smashed all targets, with 35,000 sign ups in year one and £4.5m raised. 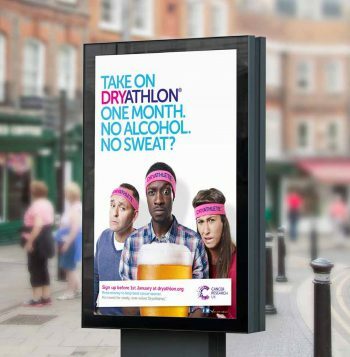 In year two the campaign went on to reach even more participants and raise £5.5m.